Current and prospective medical students mingle at a reception while tasting a variety of Chicago-inspired dishes. View a photo album from Second Look. 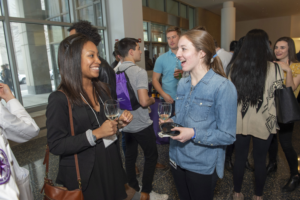 Maggie Fain was among the 160 students accepted to Feinberg who returned to Chicago for the annual Second Look event. Fain, who was accepted into the Medical Scientist Training Program (MSTP), said she was impressed by the program’s focus on supporting students. “The MSTP is a marathon, not a sprint, so it’s great knowing the school would be behind me throughout the entire process,” said Fain, a graduate of Washington University in St. Louis who is interested in bridging the gap between basic science and clinical care. Second Look, held April 11 and 12 this year, allows admitted students to get a taste of life at Feinberg by attending seminars, touring campus and meeting with current students and faculty. Chandler McMillan (left), a graduate of Duke University who was admitted to the MD/MPH dual degree program, wants to study maternal care and social determinants of health. Current students and faculty mingled with admitted students while tasting a variety of Chicago-inspired dishes. Diane B. Wayne, ’91 MD, vice dean for Education and the Dr. John Sherman Appleman Professor of Medical Education, also addressed attendees. 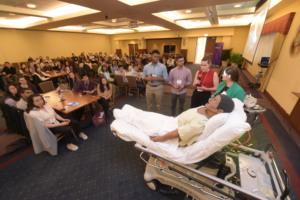 On Friday, students participated in a wide range of activities, including an exercise with a simulated patient, a student-led panel and information sessions about various dual degree programs and opportunities for student-led science. Chandler McMillan, a graduate of Duke University who was admitted into the combined MD/MPH dual degree program, said she is interested in maternal health in a non-profit setting. Admitted students participate in a simulation-based learning exercise. “Chicago is definitely a huge draw; the population is fairly diverse so I expect I’ll be able to see interesting cases during my clinical years,” McMillan said. 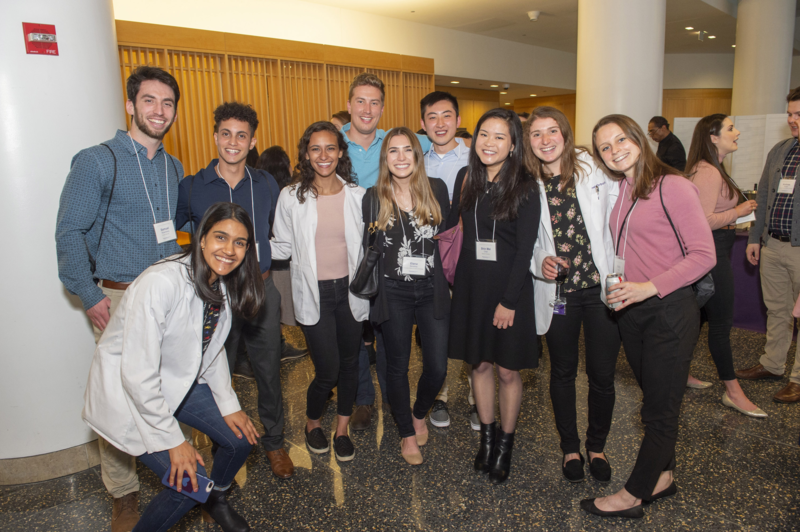 Other students, like Daniel Matthews, a prospective MD student who attended Northwestern University, were drawn to Feinberg for more intangible reasons.